Tea with the Dragon and Cairn Rodrigues! Tea Iced coffee with the Dragon and Cairn Rodrigeus! Oh how the Dragon loves tea time!!! 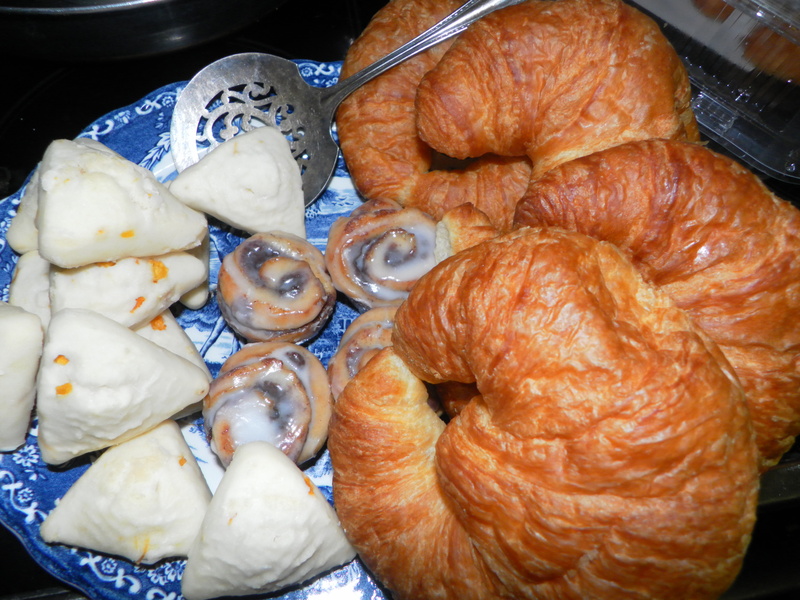 The dishes are set and I have a delicious delightful visitor today. 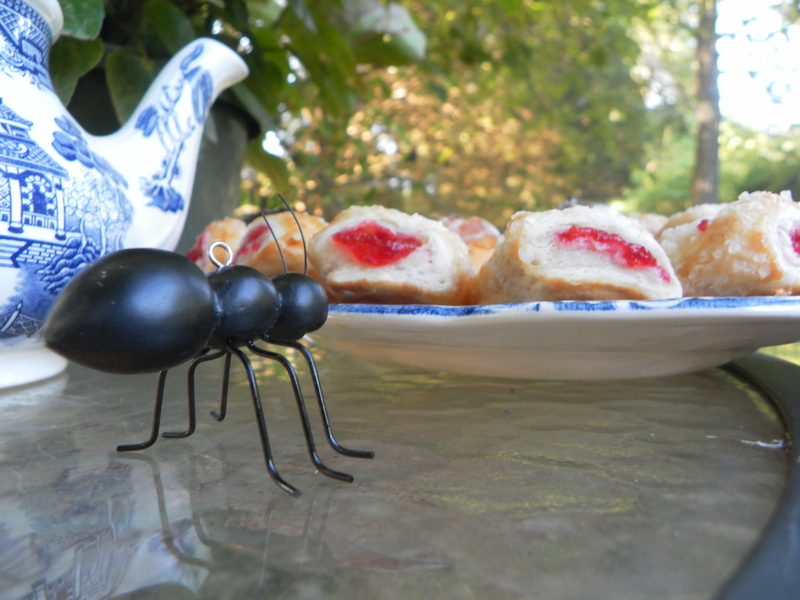 No, I do not mean the ant!!! 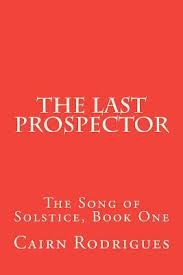 Cairn Rodrigues is the author of the book The Last Prospector —-a high fantasy soon to be released— and blogger on The Light Stealer’s Song. 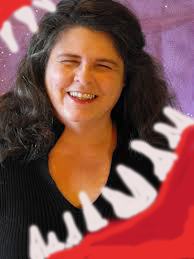 She is a talented writer and creator of the Askew Questions series of interviews. Dragon: Tea? I have Earl Grey! Cairn: I’d like an iced coffee with a chocolate cinnamon cookie please! Dragon: If elephants could indeed fly, where would they go? Dragon: You created and write in the blog called the Light Stealer’s Song. Can you tell us about the name and its ties to your upcoming novel? Cairn: Light stealers are beings of my creation. They are living crystals, they grow like plants but look like many other things in the natural world. There are flower, animal and mineral shaped ‘stealers all over Solstice. The light stealers are an integral piece of the overall story of Solstice and an integral component to the world of Solstice. There are rumors that it was the ‘stealers who actually created Solstice. I’m not at liberty to confirm or deny at this time. Dragon: I’m looking forward to publication of the Last Prospector. Can you give us a release date? Can you also comment on your past love affair with a certain bit of punctuation? Cairn: I’m looking forward to it too! What is not so appealing are all the technical aspects of formatting and self-publishing a book. It can be overwhelming so I’m taking it slow and trying to do it right. Regarding the punctuation situation: Since I frequently describe myself as an obsessive questioner, my love affair with the question mark is ongoing. Therefore I must assume you’re referring to all those messy semi colons that used to pepper my manuscripts. Well, according to informed sources anyway, book editing is a “thing” nowadays. Dragon: If you were a cat, what kind would you be? Cairn: I’d be an ocelot. It’s fun to say ocelot. Dragon: As a huge fan of street art, what would you draw or do…if you could? Cairn: As much as I admire street art, I have no desire to be a street artist. Since I’ve always expressed myself very well with words, those have become one area of my art. But my artistic expressions range from cooking to backyard installations and beyond. Frankly I can’t even really imagine what it’s like to be able to draw, to me it’s a wondrous ability. help you write? Does it interfere? “written” in my mind while gardening, especially during rose tending for some reason. Cairn: Writing for me is not the grueling, self-doubting experience that many authors seem to wrestle with. When I’m tucked into writing an installment of my series, I can’t wait to get up in the morning and start. And yes! Being read by others is pretty darn close to being essential! I won’t pretend anything differently, I want everybody to fall in love with Prospector the way I have. I want everyone to get caught up in the world of Solstice like me, it’s too much fun to be there alone. Dragon: Tell me a little bit about your blog. Have you enjoyed doing interviews? Stories? As for my one blog story, Wanderer, I have no idea if that was fun or not. I enjoyed writing, but I don’t think anyone read it because I haven’t heard one thing. So there you go. Will I do it again? I dunno. You never can tell what I’m going to do next. 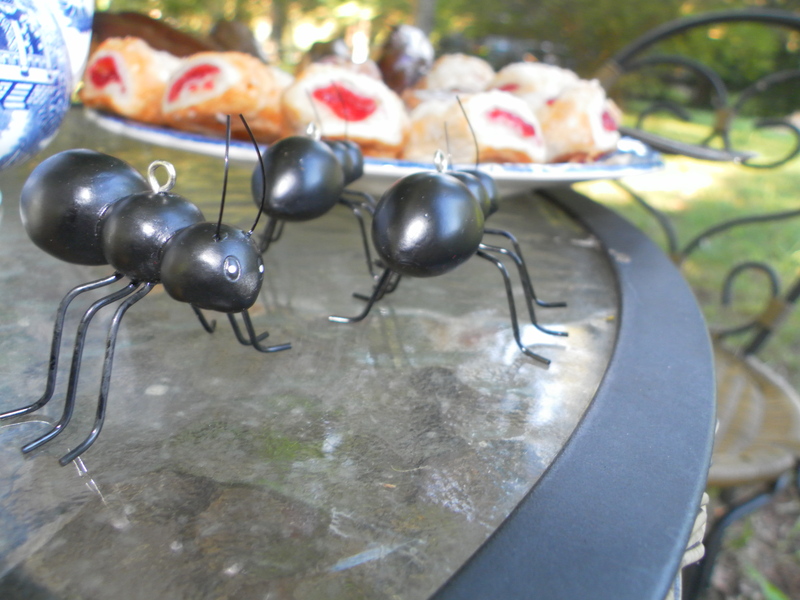 Sadly it is time to say adieu to my ant friends and Cairn Rodrigues! It has been my honor to feast ask her so many things! I am hoping that she will find time to return for more tea iced coffee once her book is released. You can find Cairn on Facebook or twitter! At least before the ants get her and carry her off!!! ❤ Cairn is very talented. We all await the publication! Hahaha maybe you will come by for tea some time, Laura! Looking forward to reading these. So many books – so little time. Enjoyed your interview Mr. Dragon. 🙂 I’ve only recently met Cairn online and find her very interesting. Congrats on the book, Cairn! Cairn, I see that the Dragon called you Ms. Askew. You aren’t related to President Nixon’s VP, are you? 1.Not in a straight or level position: “the door was hanging askew on one twisted hinge”; “her hat was slightly askew”. 2.Wrong; awry: “the plan went sadly askew”; “outrageous humor with a decidedly askew point of view”. Hahaha I actually meant my reply as a joke. Agnew wasn’t hanging straight either. LOL, when I was little I thought Spiro Agnew invented the Spirograph. I thought it was pretty cool that a toy maker was also in politics! This was a delightful visit, and I’m so glad that nobody was eaten. We do need Cairn to hang around, at least until her book comes out. Not sure about the ants, though. Do we really need them? I shudder to think how large that ant colony beneath the back buildings really is, judging from the sheer volume of ants that poured out of it daily. At one point, I couldn’t walk through the vegetable garden without being literally covered with ants. I was forced to take chemical measures, which I hate, but they were massing the army for an invasion on the actual house. Dragons, ants and Askew Questions. It’s a little like being Alice in Wonderland in a brand new world. What fun! Hahahaha and …..tea. thanks for popping by! I can live with both! What a clever and ingenuous interview, Patrick! Cairn, you are a hoot, too! Can’t wait to read your book! Hey, Patrick, any time you want to interview this author, just let me know! would love to! whenever you are up for it! Martha? can you link me to your work/books?